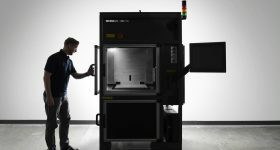 On schedule with rumors from 2016, voxeljet, a German provider of large-format 3D printers and end-user solutions, is set to release its first High Speed Sintering (HSS) 3D printer. 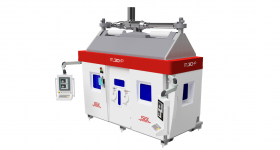 The HSS process was invented by Neil Hopkinson at the University of Loughborough in the early 2000s. 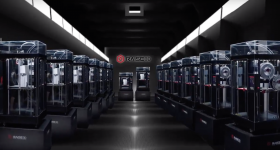 Following this, Hopkinson moved to the University of Sheffield to continue development of the process, and he is now leader of the Xaar 3D printing center in Nottingham, UK, where he and his teams have been seeking commercialization. One of the partners found in this time is voxeljet. 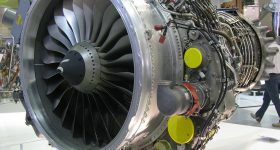 Aerospace manufacturer BAE Systems, and consumer goods company Unilever, have also been working with the technology, alongside other partners in materials and academia. 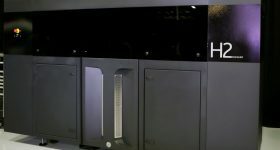 At voxeljet, HSS leverages the firm’s core binder jetting technology. 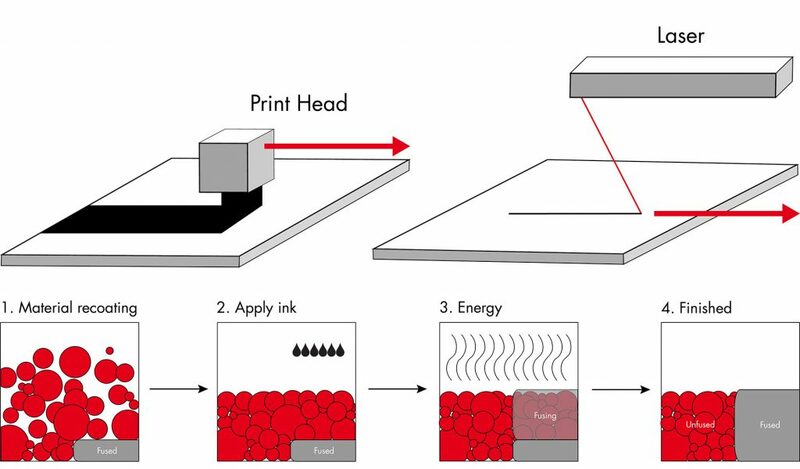 Instead of jetting a binder onto the base material, HSS jets an infrared reactive ink that is polymerized by a sweeping print arm. 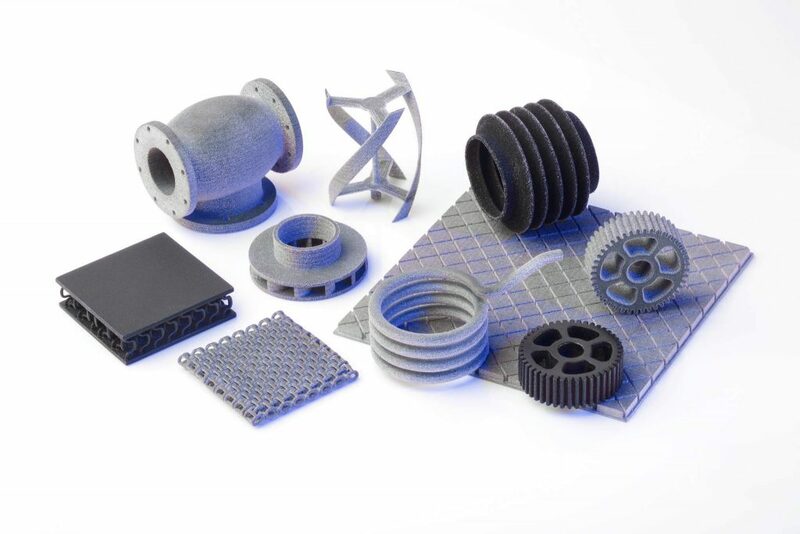 The finished HSS parts have similar surface quality and properties to parts produced using Multi Jet Fusion (MJF), Selective Laser Sintering (SLS) and injection molding. 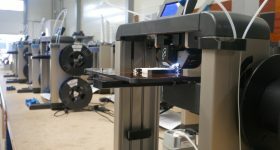 voxeljet’s HSS technology will be initially launched in the VX2000 platform. 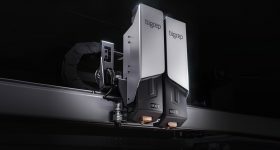 In a trend sweeping the industry, the machine will be released with an open materials platform, encouraging elastomer and polymeric innovation by customers and research institutions. 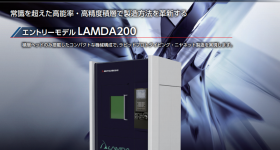 The VX200 platform is scheduled for launch at formnext 2017 in Frankfurt. 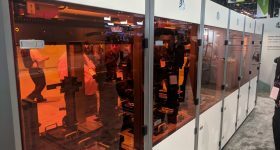 Following the theme of this year’s expo, the VX200 platform focuses on 3D printing for end-use applications, e.g. spare parts for the automotive industry, support brackets for industrial equipment, and consumer goods. 3D Printing Industry will be reporting live at formnext from 14 – 17 November 2017. Be sure to sign up to our newsletter, and find us on Facebook/Twitter, to stay up to date on voxeljet’s progress. All of the latest 3D printing events near you can be found here.